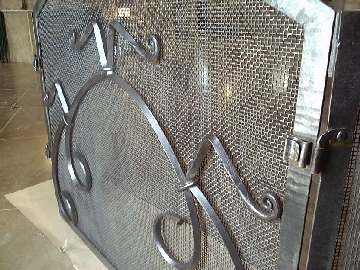 This custom fireplace screen made of wrought iron and woven steel mesh can be made to fit any fireplace, with many custom options available. 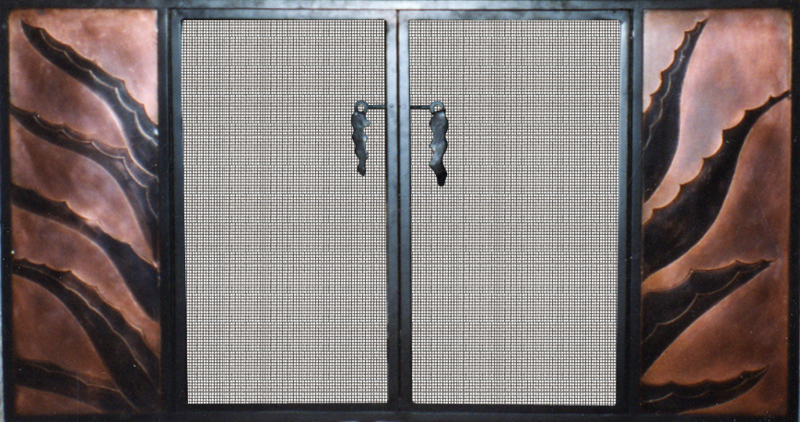 Description: Fabricated steel fire doors with decorative etched copper panels designed to anchor within a fireplace. Center panels open while side panels remained fixed. 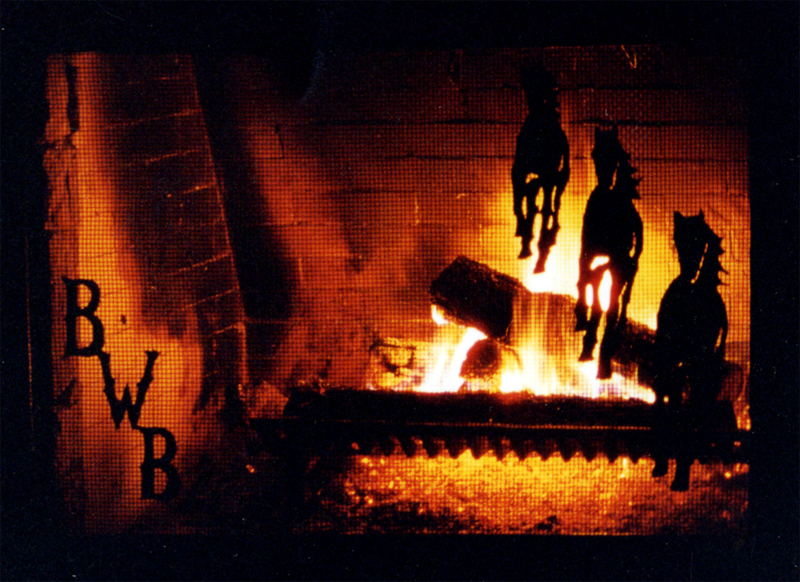 Description: Custom fireplace screen with torch cut iron images of running horses and custom lettering. 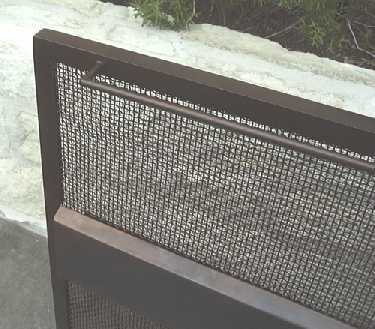 This custom metalwork piece is forged and has woven iron mesh. 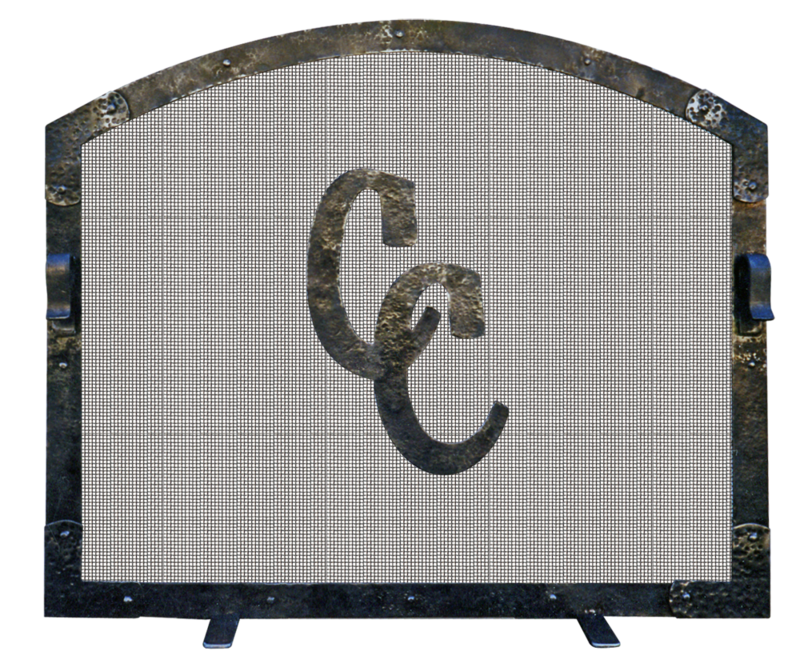 Description: Hand-forged wrought iron. 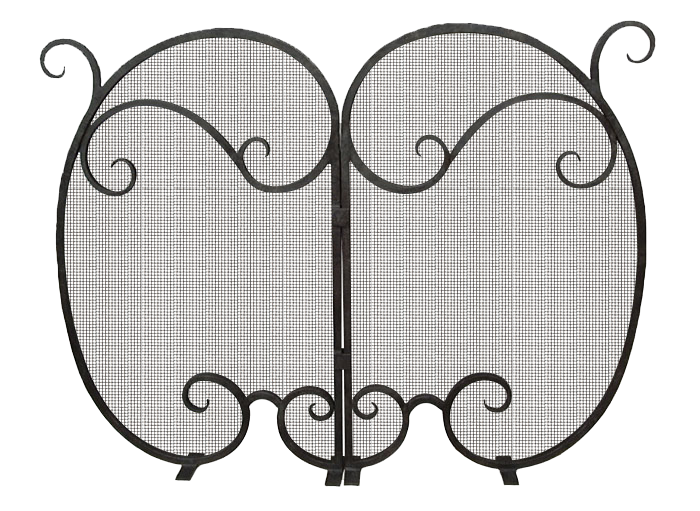 This fireplace screen features steel mesh, a hammered border, and wrought iron roses. 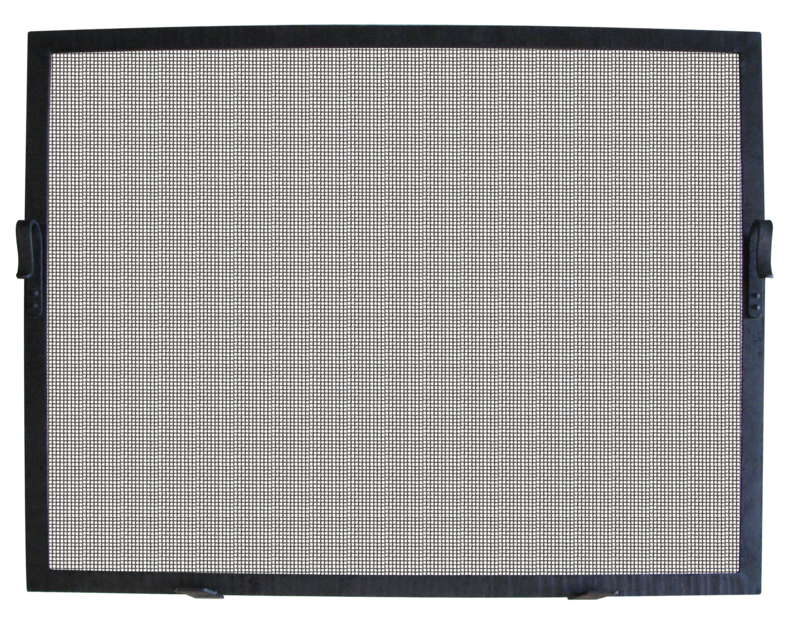 Description: This fireplace screen has a contemporary banded design. 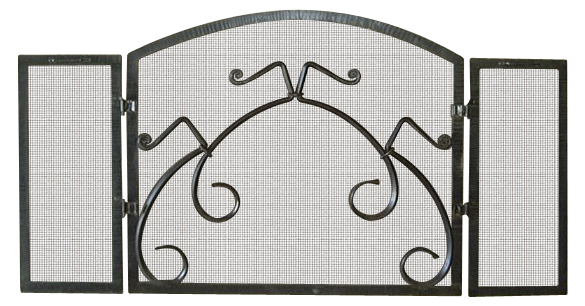 Description: Shown here is our custom wrought iron fireplace screen with hand forged, custom scroll design. 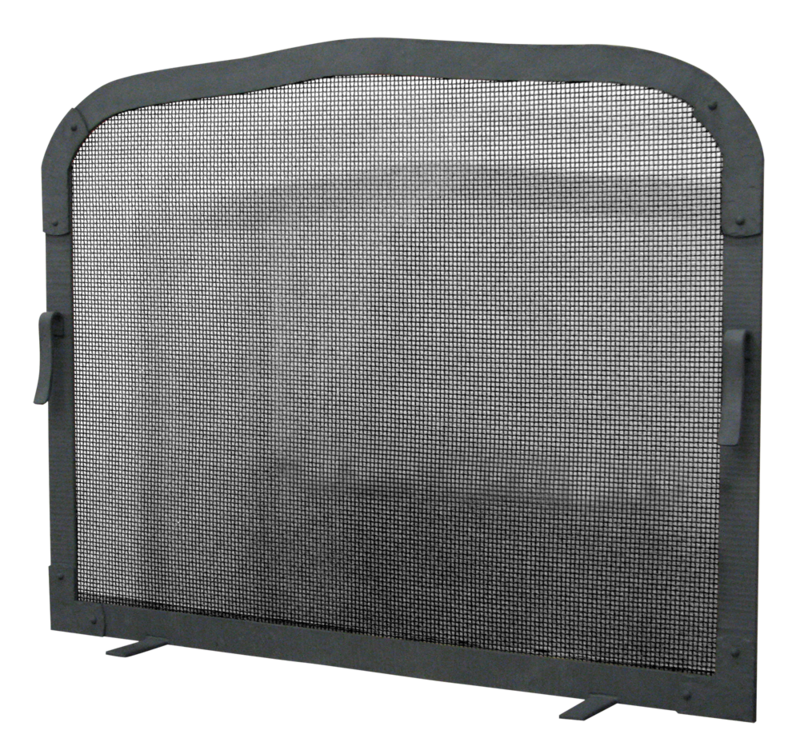 Firescreen made of woven steel. 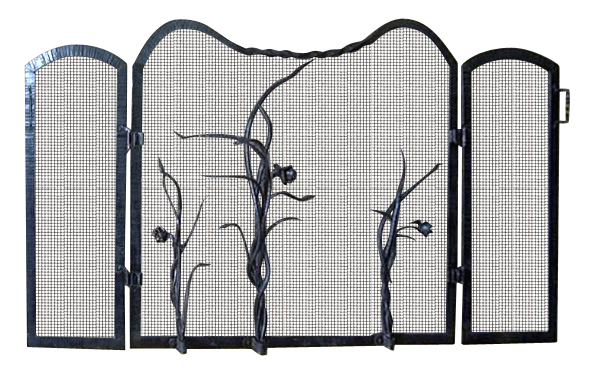 Other fireplace accessories can be custom made by Texas Lightsmith artisans to match this or any element of your decor. 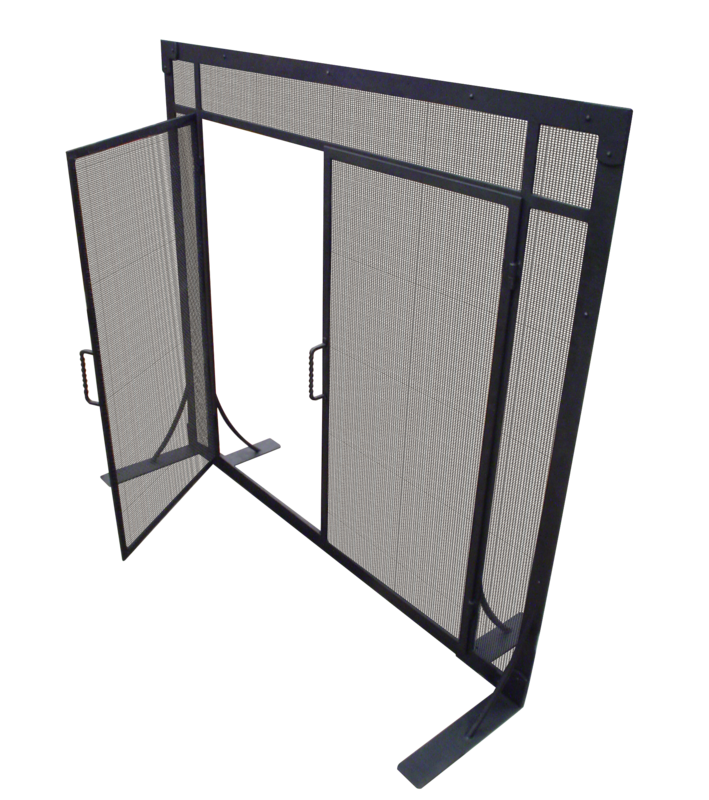 Description: Custom brushed stainless steel fireplace screen with glass panels and ‘pop-latch’ doors. The openings can be custom stained glass, fused art glass or colored glass. 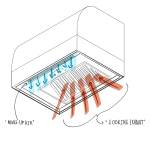 Other fireplace accessories can be custom made by Texas Lightsmith artisans to match this or any element of your decor. 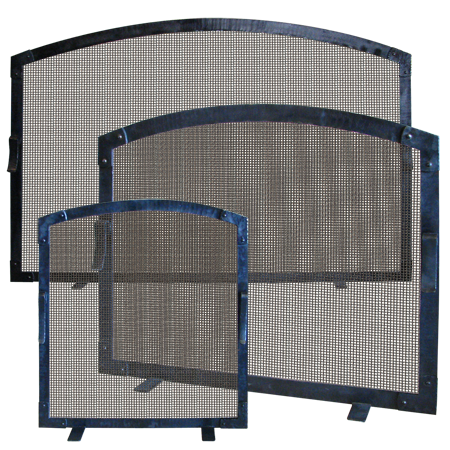 Description: This hand forged steel fireplace screen has latch doors and woven steel mesh. 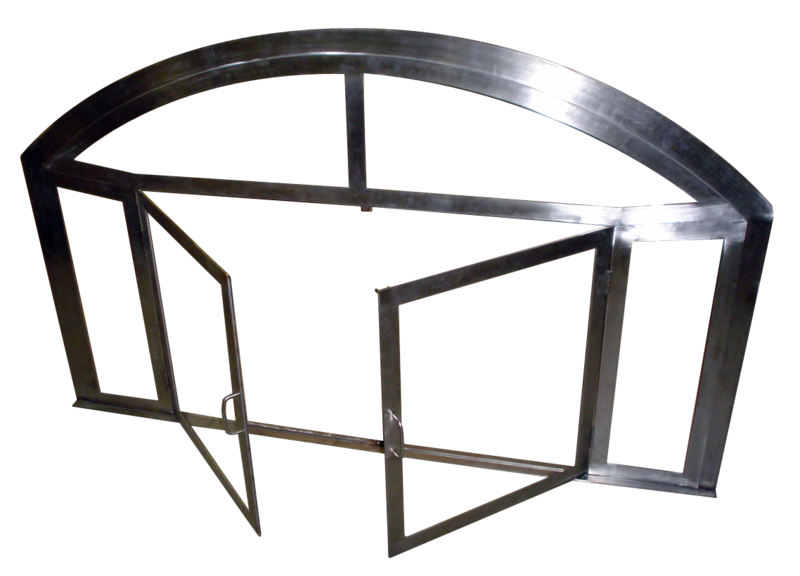 Other fireplace accessories can be custom made by Texas Lightsmith artisans to match this or any element of your decor. 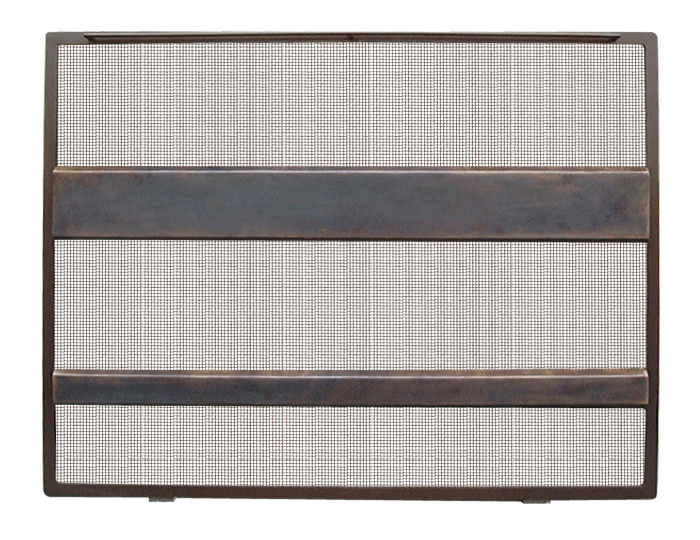 Description: This hand forged steel fireplace screen has a graceful faux rust design and woven steel mesh. 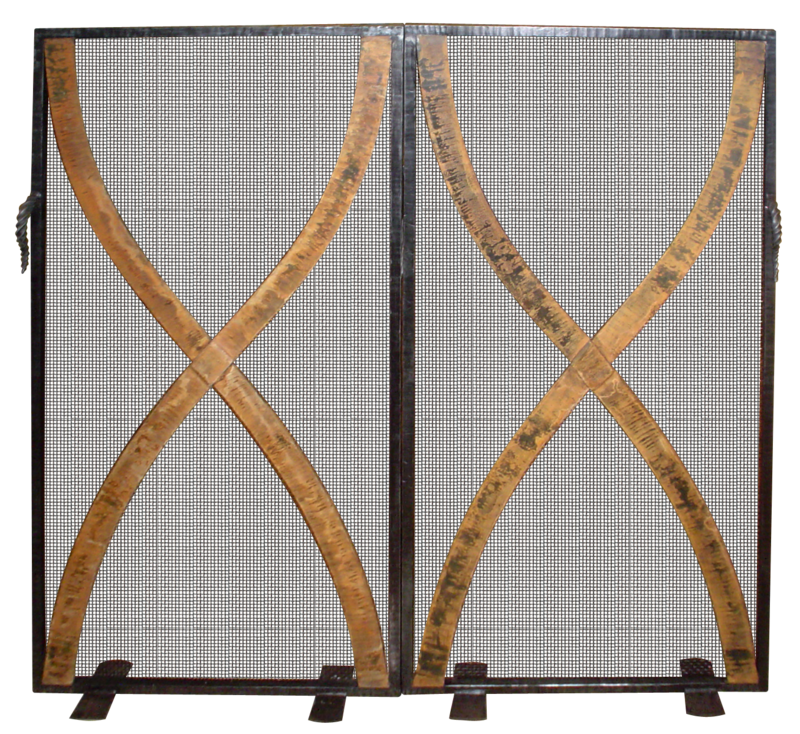 This simple hand forged, hammered and blackened steel fireplace screen has woven steel mesh for a contemporary rustic design. 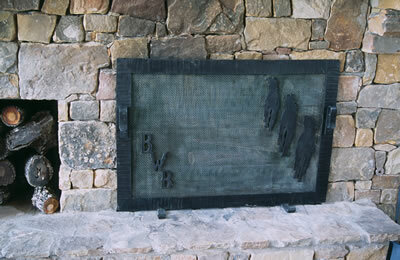 This simple hand forged, hammered and blackened steel corner fireplace screen has woven steel mesh.